Half Bezel with Twisted Shank Engagement ring Center stone not included. Bypass Prong Set Engagement ring Center stone not included. 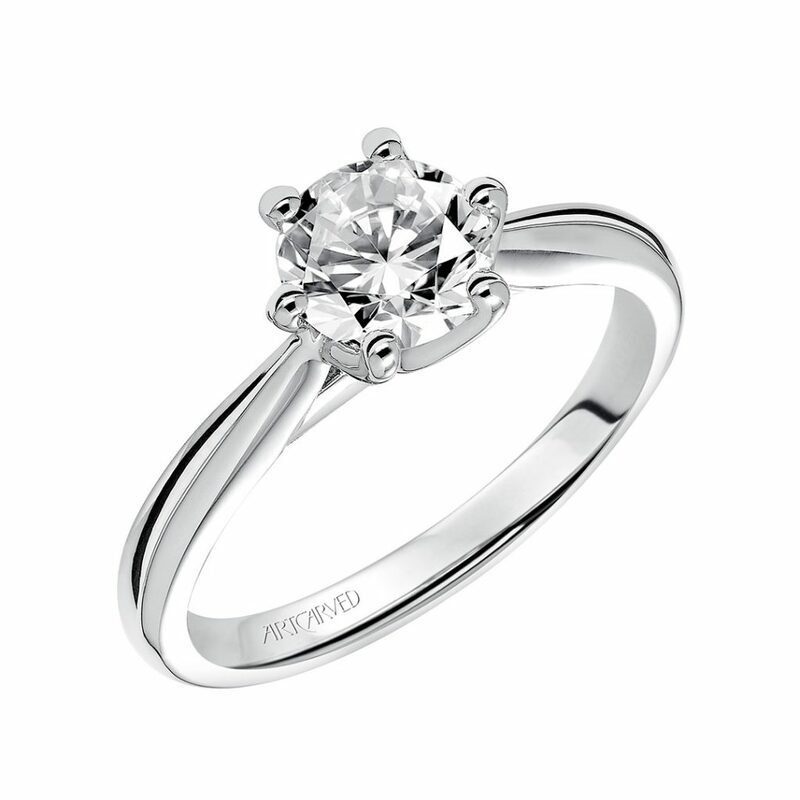 Classic Diamond Prong Set Engagement ring with Diamond Shank and Diamond Accented Gallery Center stone not included. Channel Set Hand Engraved with Milgrain Engagement ring Available In: Platinum,Palladium Center stone not included. Alexandra, Vintage inspired diamond cushion halo engagement ring with cluster of 3 side accent stones and carved detail in satin finish Available In: Diamond Center stone not included. Alicia, Contemporary classic solitaire diamond engagement ring with diamond accents under the center stone with open braided shank Available In: Diamond Center stone not included. Aline, Classic solitaire diamond engagement ring with rope band and crown of diamonds under center stone Available In: 14K White Gold Center stone not included. Althea, Vintage inspired diamond floral halo engagement ring with hand engraved milgrain detail and prong set diamond shank Available In: 14K White Gold Center stone not included. 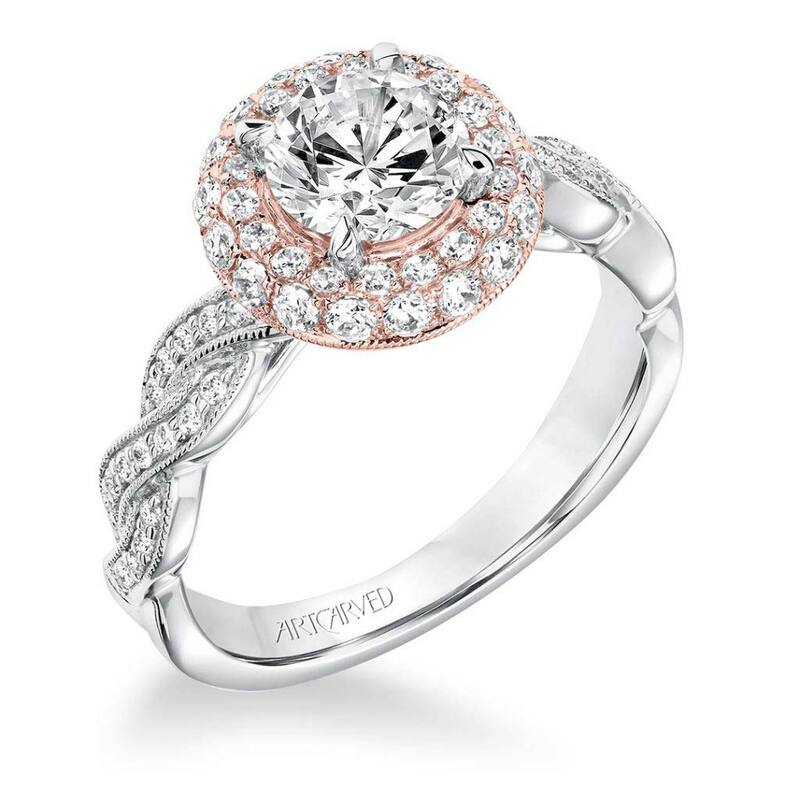 Diamond Twisted Halo Engagement ring With Milgrain Center stone not included. Six Prong Diamond Engagement ring with U-Shaped Diamond Shank Setting and Double Diamond Collar Center stone not included. 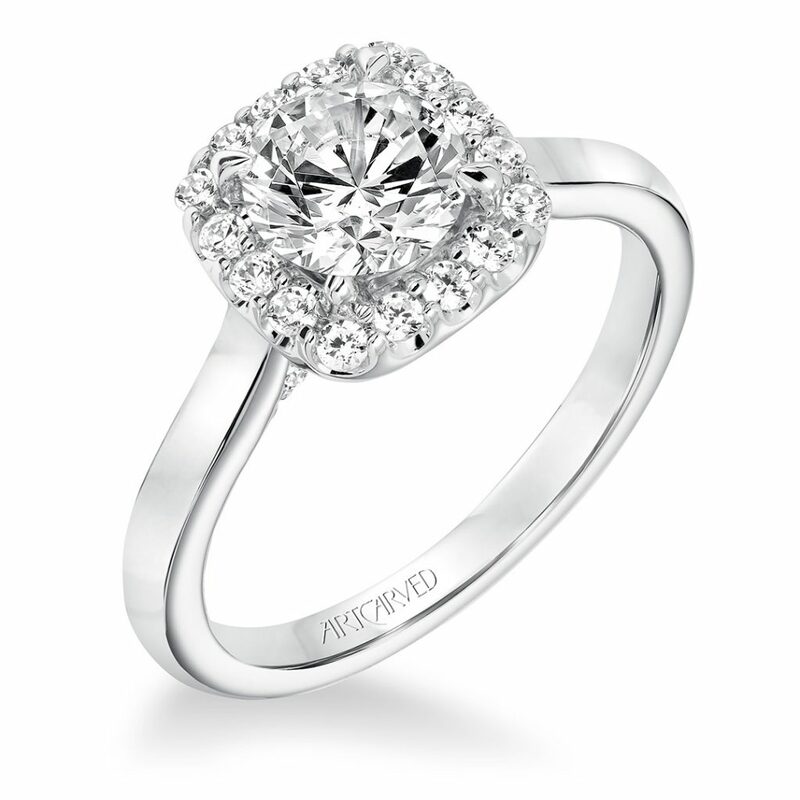 Classic Diamond Halo Engagement ring Center stone not included. 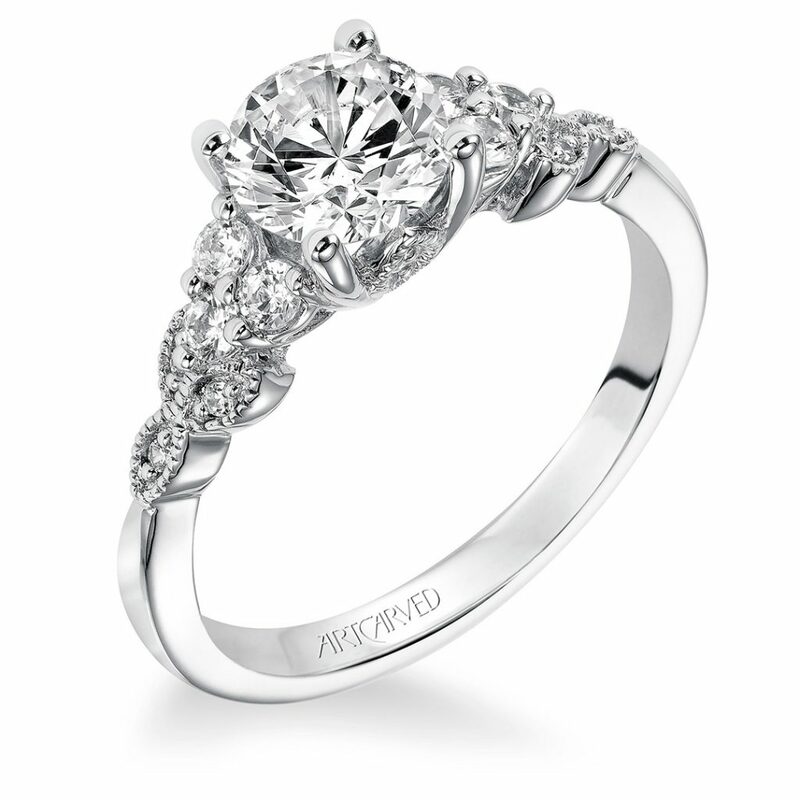 Ariel, Contemporary cushion halo diamond engagement ring with diamond accented split shank and diamond bridge. Center stone not included. Vintage Cusion Halo Diamond Engagement ring with Diamond and Milgrain Accented Tapered Shank and Filigree Gallery with Milgrain and Diamond Accents Center stone not included. Diamond Engagement ring with Diamond Shank Center stone not included.